In April of 2013, I said “I do” to my fabulous hubby. For today’s post, I thought I would share all the wonderful DIY projects we were able to incorporate in our special day. 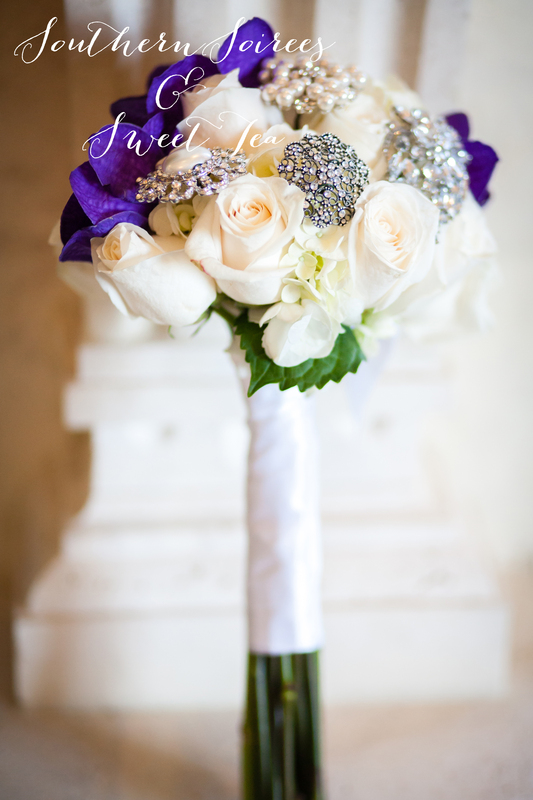 A BIG thank you to our photographers from Khloe Madison Weddings who took the amazing photos below. 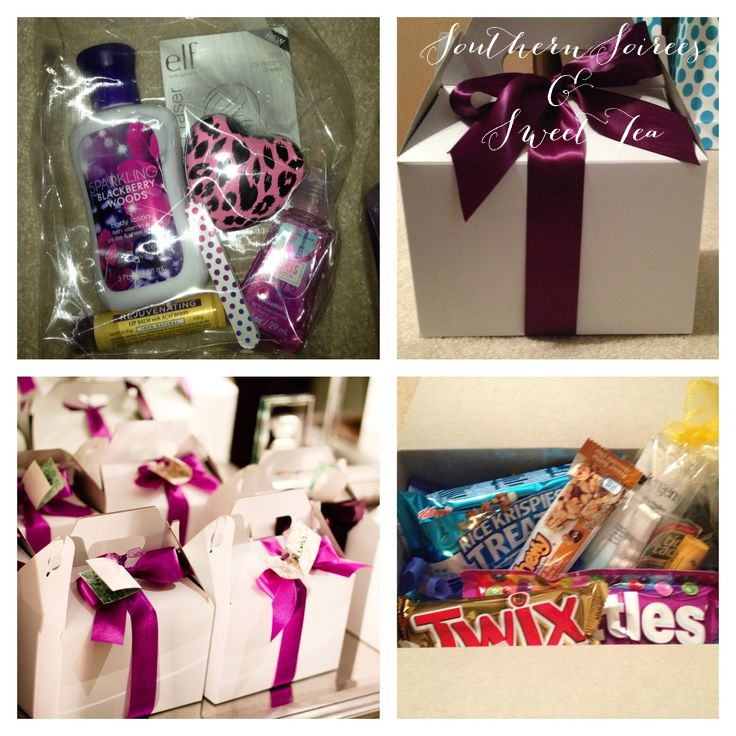 First, my “Will You Be My Bridesmaid” Box. I opted to go “indian traditional” and chose sari’s for all my bridesmaid to wear at the wedding. Since all my bridesmaids were so close to me, I wanted to ask them in an extra special way. 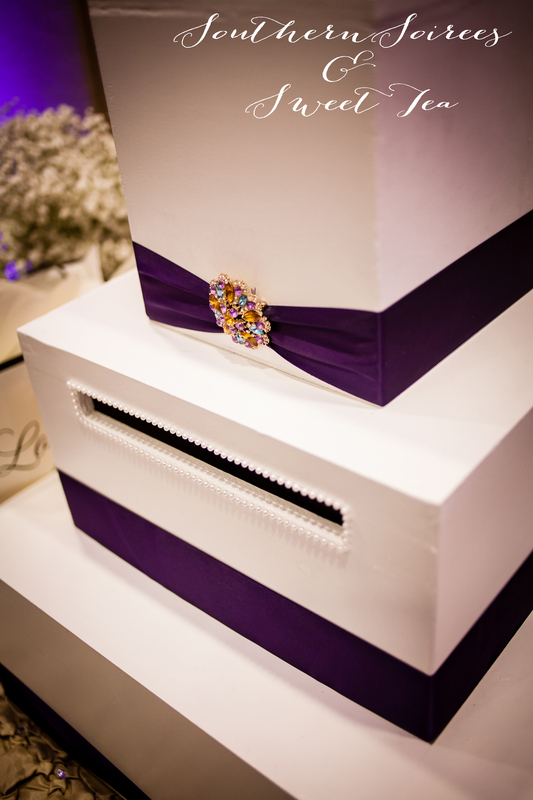 I decided to use printed boxes to hold the sari’s and then tiered cards to not only ask them, but provide them with the information about the day. 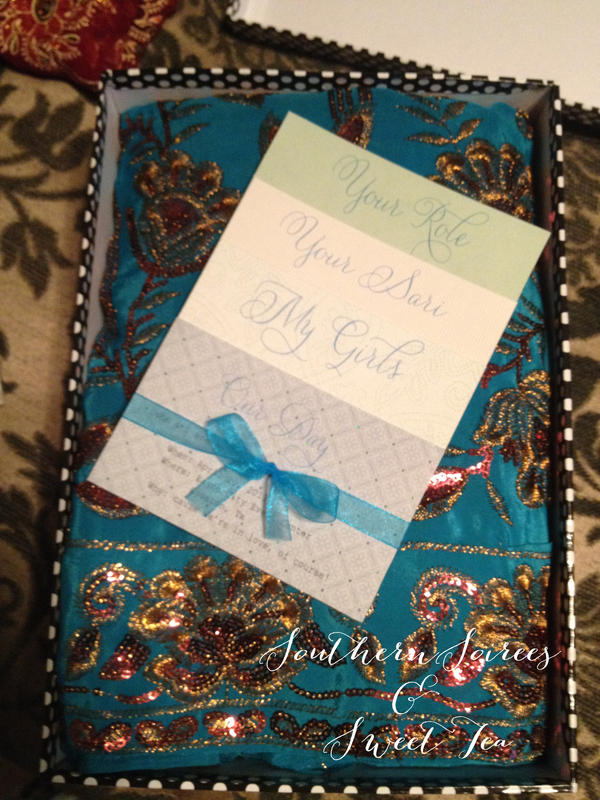 The tiers were labeled “Our Day”, “My Girls”, “Your Sari” and “Your Role”. “Our day” informed them about the wedding date, time and location. “My Girls” listed all the bridesmaids. The group included high school friends, college friends, a sister in law and future sister in laws, and since they did not all know each other, I thought it was important so they could all meet and greet prior to the big day. “Your Sari” gave the girls info that I would like them to wear gold/copper shoes and other information about their fabulous ensemble. “Your Role” let them know how much I appreciate them standing by my side and that I wanted them to enjoy the day as much as I would. The girls absolutely loved the boxes and I did too! 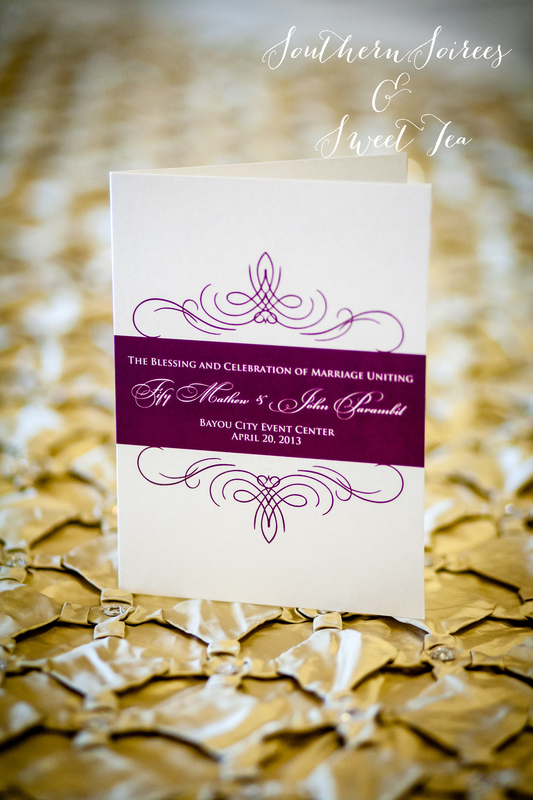 In high school I took a graphic design class..little did I know that I would be using those skills to design my wedding programs! Using photoshop and with the help of a fabulous local printer, I was able to print these beauties. The reception menus were another DIY stationery. The reception was a seated lunch with 2 meats so the non-vegetarian guests were not asked for their meal preference prior to the meal. 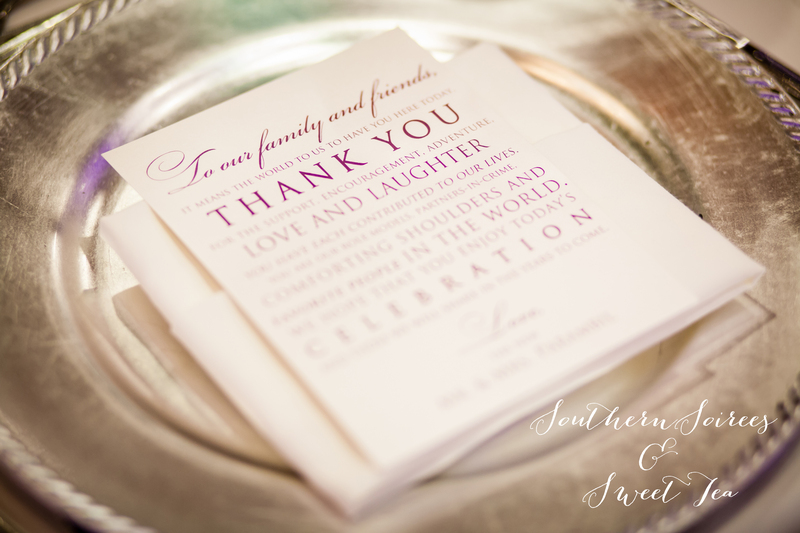 (I highly recommend this as it made seating at the reception A LOT easier) Since the guests did not know the meal, I thought it would be a nice touch to let them know details about the meal. On the back of the menu, we included a “Thank You” to all the guests. We all know that it’s sometimes stressful to be in a bridal party. Our wedding was a morning wedding, so the entire crew was up at 4am the day of to start the makeup and hair process. Since I knew they would be not only exhausted, but probably missing a few essentials, I surprised the entire bridal party (guys and girls) with gable boxes filled with a ton of goodies. The boxes not only included snacks, but lotion, Burt’s Bees, hand sanitizer, oil absorbing sheets, a mini nail file and mints. Guys of course got more “manly” items. I thought this was a great to show our appreciation and the guys and gals absolutely LOVED them. While I can’t take credit for my beautiful bouquet (Thank you Christian!) I can take say that I hand picked the brooches. 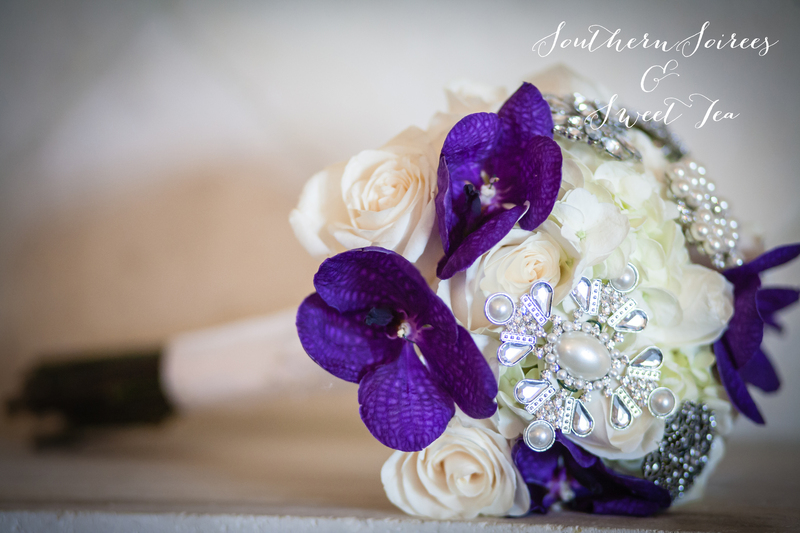 I just LOVE the idea of brooch bouquets. From Macy’s to Hobby Lobby and Charming Charlie, I spent a lot of time searching for the perfect brooches. It wasn’t easy but I was SO happy with the results. After seeing cardboard card boxes sell for almost $150 online, John and I decided to take on the project of making our own box. This box is 100% custom. We cut the wood, sanded, painted and added all the embellishments. We were SO proud of the final result. It has now become our “family” card box and has been used in 2 other weddings. From the chair covers to the blue drinks, I picked EVERY detail of the reception table settings. 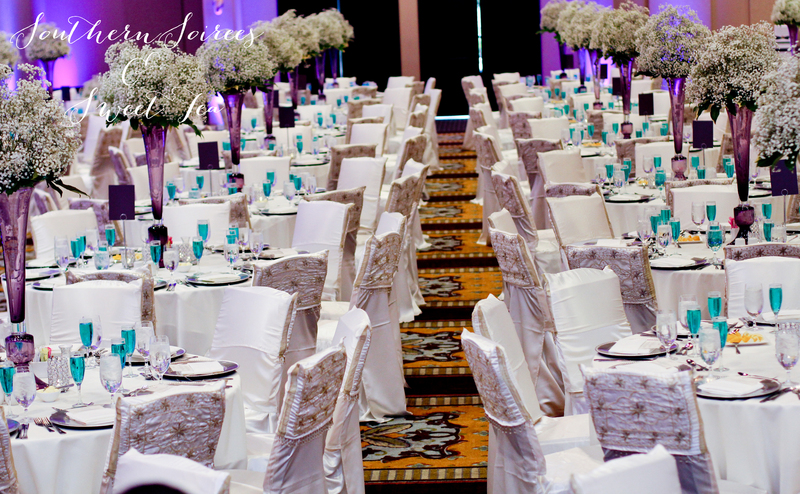 Our decorator Perfect Touch Linens did a wonderful job having my vision become a reality. When John and I saw the purple vases at Z Gallerie and knew we wanted them for our reception. We ordered EVERY one they had. 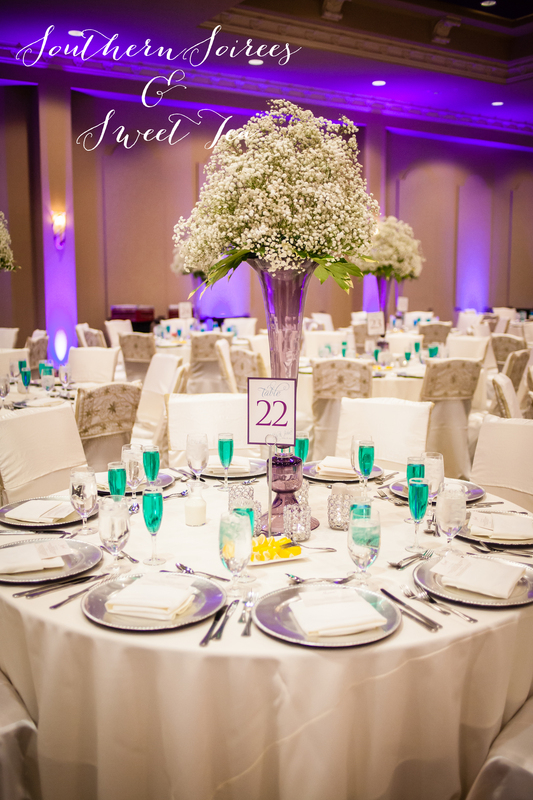 On top we added Baby’s Breath centerpieces. 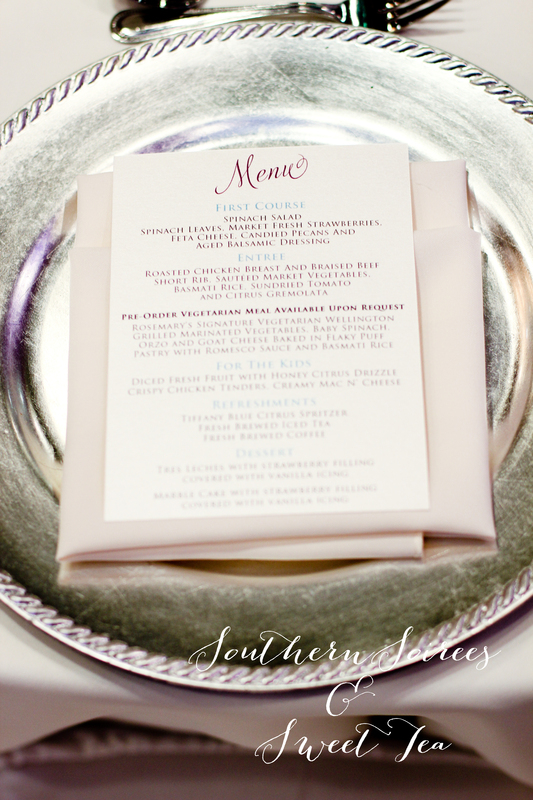 Then we added charger plates with menu cards as well bling votives on every table. I also made custom table numbers! I just LOVE, LOVE, LOVE these tables! And finally, our cake.. This was something that I was a little worried about when i designed and ordered it, but when I saw it at the wedding, I was so happy. This cake is actually a fake cake! Only the second tier is real. It looks all real doesn’t it?? Our baker did a wonderful job with this. 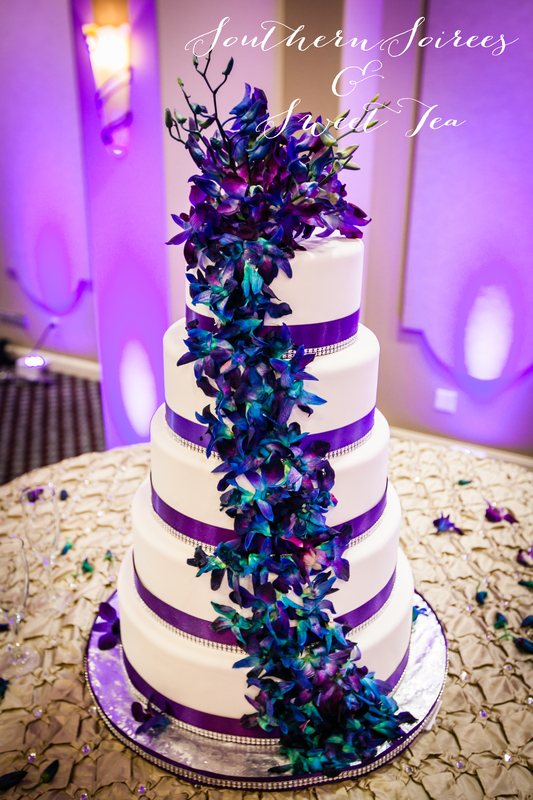 The orchids looked so beautiful and went perfect with our purple and teal decor. Our wedding was a wonderful day we shared with our family and friends. I am so happy we were able to use DIY skills to add our special touches our big day! 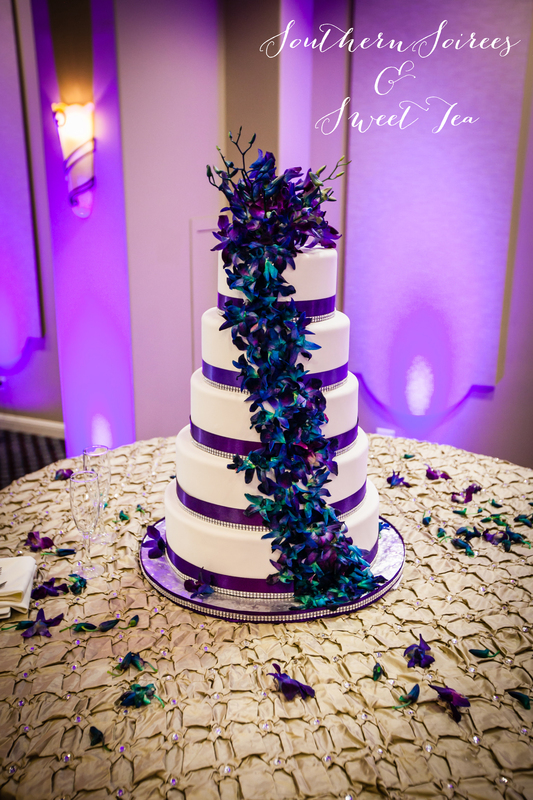 I love, love that cake! Are the flowers on it real or fake?